Sleep is a vital part of a healthy and happy life. It is a natural process that plays a major role in the body's daily routine. Getting enough sleep so that you feel alert and well rested allows you to feel and perform your best. At times, however, your body can miss out on the quality sleep that it needs. This can have a negative effect on your mind, body and emotions. It can even put your life in danger. Preventing and treating sleepiness are crucial steps on the path that leads to good health. Sleepiness is when you fall asleep at a time or place that is not what you intended. You may fall asleep at a movie theater or while sitting with someone at lunch. You may even fall asleep at work or while driving a car. Sleepiness can involve strong feelings of fatigue and a low level of alertness. When it is severe, the need to fall asleep may be so strong that you are unable to control it. The danger of being sleepy is that most people are never aware of how tired they really are. This is how people fall asleep in situations that put them in harm's way. People all need different amounts of nightly sleep in order to feel alert and well rested. On average, most adults need between seven and eight hours of sleep each night. Many people think that they can get by on much less sleep than they really need. Getting less than your ideal amount of sleep can cause you to form a "sleep debt." This "debt" is made up of all the hours of sleep that you have missed. Sooner or later, this debt has to be paid. Your body needs to get back the sleep that it has missed. If you have to use an alarm to wake up on time in the morning, then there is a good chance that you are not getting enough sleep. First, your internal clock controls the circadian rhythms in your body. The word "circadian" means to occur in a cycle that lasts about 24 hours. Among other factors, your clock is "set" by your exposure to sunlight. These internal rhythms tend to make you sleepier between the hours of midnight and 7 am. They can also make you tired in the mid-afternoon between 1 pm and 4 pm. You will not feel refreshed if you sleep at times that go against the settings of your body clock. People who work night shifts may never feel well rested as they try to sleep during the day. They are going against the natural pattern of sleep that their body expects them to follow. This same kind of sleep confusion occurs when people cross many time zones on an airplane flight. The quick shift in the time of day leads them to try and sleep when their bodies are not expecting it. Second, you will also feel sleepy if you do not meet your body's natural need for sleep. Ongoing sleep loss will typically result in a high level of fatigue. Losing sleep means that your body is going to need even more rest to make up for the debt. This can be very hard for people whose jobs demand that they work long shifts. Doctors, military personnel, and emergency workers may lose a lot of sleep due to their work shifts. Other people who have to work more than one job have the same problem. If you are already tired, the use of alcohol may make your sleepiness even worse. There are also many sleep disorders that keep you from getting the sleep you need to feel well rested. A sleep disorder may cause you to be tired even after a full night of sleep. The disorder often wakes you up many times in the night. This keeps you from being able to enjoy full stages of deep sleep. Sleep loss can hurt a person's well being over time. It reduces your ability to remain alert and solve problems. You have a harder time thinking and making decisions. It weakens your ability to learn and remember things. It also slows your reaction time. You have a higher risk of injury or of being in an accident. Severe sleepiness over a long period of time makes you more likely to become depressed. These results of sleepiness affect some people more than others. Being sleepy can affect you in the same way as drinking alcohol. Studies have shown that losing just a few hours of sleep each night can impair your ability to drive in the same way that drinking does. You only have to doze off for just a few seconds in order to cause an accident. The U. S. National Highway Traffic Safety Administration reports that drowsy driving hurts an average of 40,000 people and results in more than 1,500 deaths each year. You need to make sure that you do all you can to get enough sleep each night. Try to go to bed at a time that will allow you to get the amount of sleep you need. You should also keep from using too much caffeine and alcohol. Ideally, you should wake up at the same time on weekends as you do during the week. This will help your body clock and sleep pattern to stay on the same schedule. In reality, your work shifts may keep you from getting enough sleep during the week. If this is the case, then getting extra sleep on weekends may help you fight sleepiness. You may be sleepy because you have a sleep disorder such as sleep apnea or narcolepsy. 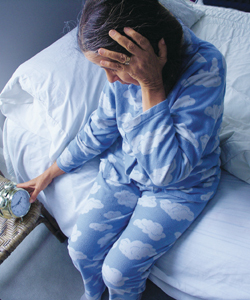 An untreated sleep disorder can cause even more hazards to your health and life. Talk to your doctor or see a sleep specialist if you think you may have a sleep disorder. Detecting and treating your disorder will make a huge impact on the quality of your sleep. You can often sleep better by simply following the practices of good sleep hygiene. Sleep hygiene consists of basic habits and tips that help you develop a pattern of healthy sleep. See the Resources section of this site to find out how you can start down the path to better sleep.